Yesterday, we discussed how the case against Disney in the death of two-year-old Lane Graves seemed to be getting worse for the company by the day with a new controversy over a poster instructing employees to mislead tourists asking about the risk of alligators. Many of us felt that Disney richly deserved to be sued and that such a lawsuit could produce valuable deterrence for Disney and other companies in the future. However, to the surprise of many, Matt and Melissa Graves of Elkhart, Nebraska have announced that they will not sue Disney for the death of their son in the lagoon at the Grand Floridian Resort and Spa at Florida’s Walt Disney World. This is obviously a very personal decision. I can understand why a family wants to heal and not relive this terrible tragedy. However, in my view, Disney was clearly negligent in the case. The resort had “no swimming signs” but not warning about the alligators in the water. As I stated earlier, Lane was splashing around in the shallow lagoon while his parents rested on the beach with his sister. The alligator sprang from the water and grabbed the boy. Lane’s father, Matt Graves, ran into the lagoon to try to take his son from the alligator’s jaws but could not break him free. Reports indicate that employees had expressed concern over the danger presented by the alligator. The lake at Disney’s Grand Floridian Resort and Spa covers 200 acres and is well known by locals to contain alligators. Disney put up signs however that read “no swimming” near the lagoon and did not apparently warn about alligators. There is a considerable difference between a sign warning not to swim and a sign warning about alligators. The former are ubiquitous and often ignored. The later is a sign that few would ignore. Moreover, Lane was not swimming but wading in the lagoon. The parents could have misunderstood the danger if the boy was just playing in the shallow water under their watch. Even if there could be a claim of negligence for a child wading in the water, children under six in Florida are generally viewed as lacking the legal capacity for negligence. Of course, Disney could argue comparative negligence for the parents’ claims (as opposed to the child) of negligent infliction of emotional distress, wrongful death etc. Since 1973, Florida has been a “pure comparative negligence” state where plaintiffs can recover the percentage of damages not attributed to their own negligence. Thus, if the parents were deemed 25% at fault, they would received 75% of the damages. Notably, this is not a “partial comparative negligence” state where the parents could be barred if they are 50 percent at fault or more. Even assuming that jury considers the signs to be clear warnings, it is doubtful that the parents would be over 50 percent at fault. Nevertheless, in a pure comparative state, that determination is not required. In my view, the signs were clearly not sufficient to shoulder the burden of Disney. Under the common law, there is strict liability for injuries caused by wild animals in your possession. However, that would raise the question of whether these alligators are in the legal possession or control of Disney since they occupy the lake. This was the issue in Woods-Leber v Hyatt Hotels of Puerto Rico (1997), Hyatt was found not to be strictly liable for an attack on its grounds by a rabid mongoose on a guest. It was not viewed as possessing the animal since wild animals could move freely on to the property. The same issue came up recently in the United States in the case of the woman who had her face ripped off by a neighbor’s pet chimpanzee and a case in Arizona involving a javelina. Notably, after the attack, Disney captured and killed five alligators to see if they were responsible for the death — an indication of their control over the lake. Assuming that the alligators were viewed in the same way as the Woods-Leber case, there would remain a powerful case of negligence. There is the added burden according to invitees on a business property and the duty to fully warn and make safe the property from known and latent dangers. Disney is now the luckiest place on Earth in dodging this lawsuit, particularly the same week as a new controversy over the company misleading tourists on the risk of alligators. If the company had a modicum of class, it would dispense with its tight-fisted reputation and make a sizable donation to the charity created by the family in the name of their child. I am comfortable with this arrangement, if the parents are satisfied with this legal settlement, and I think it was a civilized thing for them to do. I do not think Disney ever ever intended for a child to be harmed by alligators, and they do have a recreational park in the middle of the wilderness. I don’t think anyone is really at fault here, and it was a tragic accident; Disney should proffer compensation to the parents, set up the charity, do whatever they can to restitute the situation, and then all parties should recognize it for what it is, a horrible accident THAT WON’T HAPPEN AGAIN. Suing is NOT the answer as any monies received is paid by the taxpayers which takes much-needed funding away from schools, roads, etc. Accountability is the only way to change things – there has to be more vetting of cops and lasting repercussions when situations like this one take place. As it stands now rogue – and in this case stupid – cops are not punished. And even if they are fired they simply move on to another county or state. I will be voting for Jill Stein unless the Demoncrats come to their senses and nominate Bernie Sanders. Apologies, Professor. Sorta though cause the story structure does not pass journalism 101. Turley’s final sentence does mention the charity. The question is how could Professor Turley miss this important bit of information. The parents are setting up a foundation/charity in the child’s name! Disney mum but it’s a pretty safe bet Disney is gonna be generous. Perhaps the parents blame themselves, and are unable to face the emotional trauma of a lawsuit where they would be reliving the death that ruined their lives for the years it would take in court. I think they shouldn’t have had to sue Disney. Disney should have felt so much guilt and shame that they burned rubber to shower the family with money and free counseling, not to make amends, because you can never make it better. But to show they were wrong and they were sorry and to just do SOMETHING. I am deeply shocked and disturbed that Disney posted signs encouraging employees to lie to tourists about the gators. That shows intent. And it shows they were well aware that tourists were not educated about the danger of gators. Even little baby gators respond instantly to ripples in the water, and may bite at kids’ toes dangling in the water. An animal trainer I know has shown me how they all react to just a drop in the water. Their mouths are very dirty, although not as bad as caymans, and a bite can cause a bad infection. So just allowing little gators to persist in the lake does not make it perfectly safe. There is no doubt, whatsoever, that the family will be compensated for this tragedy. No doubt at all. It’s just structured in such a way as to leave the reputation of Disney intact. The family is going to establish a “charity” in the name of the deceased child, and Disney is going to bankroll it–probably, for decades to come–with Mom and Dad pulling in generous salaries, not to mention any assortment of their relatives, whom they will surely employ in the “charity”–don’t think that these parents have suddenly found religion. Not so. When questioned whether or not Disney would be funding the charity, the family directed that all questions be answered by Disney. Right. It’s a win-win all around, except, of course, for the tragic loss of the child. The parents are set for life, running this charity and drawing substantial salaries, and Disney doesn’t have a big, messy and ugly suit to defend. Thinking that the parents walked away from this tragic loss, empty-handed, is naive, at best. Here is found the inadequacies of the ‘letter of the law’. One would think that criminal charges would be forthcoming here. Disney failed to adequately protect and/or warn its customers. Disney knew there were alligators. Disney failed to put up the appropriate signage. Disney failed to keep an obvious danger from it’s customers. It’s not much different from a night club not having appropriate means of egress, sprinkler systems, safe electrical systems, etc and then a fire breaks out because the club overloaded its circuits, people die because the way out was not clear, etc. The argument that everyone knows there are alligators in Florida doesn’t work to put the onus on the family. If everyone knows that there are alligators in Florida then surely Disney knows, and Disney’s negligence cause the death of the child. All the rest is disgusting legal BS. Lawyers live for that. This is a prime opportunity for a lawyer to get Disney off and receive accolades for how clever they are. Disney caused a child’s death. It is not as if a bee stung a child that was allergic to bee stings and died. It is as if Disney took the child swimming in known shark infested waters, without notifying the parents. 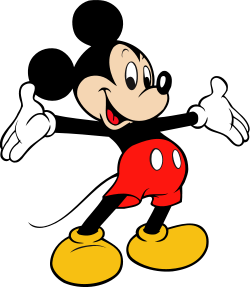 “Company Overview: The Walt Disney Company owns the ABC television network; cable networks including ESPN, the Disney Channel, SOAPnet, A&E and Lifetime; 277 radio stations, music- and book-publishing companies; film-production companies Touchstone, Miramax and Walt Disney Pictures; Pixar Animation Studios; the cellular service Disney Mobile; and theme parks around the world. Does Disney “own” NBC? How did that happen? When did Walt die? Did he die of AIDS? Was he a rear ender? Does some Disney family member or members own the majority shares or work for the organization? Come along and sing a song and join our jamboree! The parents are not saying if there was a settlement, so I am saying their was one, and a big one. An NDA was part of the deal, I am sure. I bet if you follow them you will see new cars, a new house, etc. Squeeky, You would think so, but maybe not. I am sure there was a huge settlement. The family was compensated. It’s not like they just let Disney walk.